Wallace Gale Gray, Jr., 91, died at Cumbernauld Village in Winfield, Kansas on Sunday, February 3, 2019 after a long illness. Memorial services will take place at 10:00 AM Saturday, February 9, 2019 at the First United Methodist Church of Winfield. The family will greet friends following the service. Memorial contributions may be made to the Turner-Gray Maintenance Fund at Southwestern College or the First United Methodist Church, contributions may be left in care of the Shelley Family Funeral Home of Winfield. Private inurnment will take place at the Masonic Cemetery in Eagleville, MO. Wallace was born May 3, 1927 to Wallace Gray, Sr. and Marjorie Thomas Gray in Palmyra, MO. In 1948 he and Ina Turner were married at Highland Park Presbyterian Church in Dallas, TX. Wallace graduated from the High School in Union, MO; from Central College in Fayette, MO; and Perkins School of Theology at SMU in Dallas, TX. For his PhD he attended Vanderbilt University, he did his postdoctoral studies at the University of Hawaii, the East-West Center of Honolulu, and in Japan. He pastored small churches in Missouri and Texas before he became Associate pastor at First Methodist Church in Lawton, OK. Prior to this pastoral appointment he had taught at the college and seminary level during his graduate study period in Nashville. He began his fulltime teaching career (always in appointment as a Methodist minister) in 1954 in the undergraduate Religion Department of Southern Methodist University in Dallas. The Gray family moved to Winfield in 1956. As Kirk Professor of Philosophy and Religion Wallace taught at Southwestern College for 40 years. He also taught English briefly at the YMCA in Hiroshima, Japan and for several summers he instructed supply pastors in schools of theology in Kansas City and Dallas. In retirement he was a visiting professor in Japan at Kitakyushu University. In all, more than 5000 students attended his classes, many of whom became ministers, teachers, and professionals in a number of fields. Each student was important to him; he gave especial attention to those with problems, whether they were working at less than their potential or had problems coping with school or life. 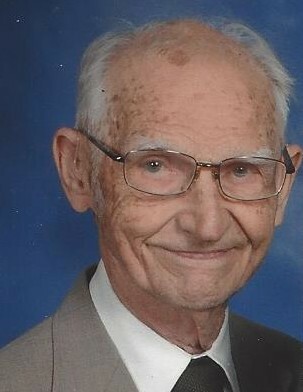 In retirement, besides scholarly activities, he volunteered as reader with second graders, mentored several struggling college students, was a prayer partner with various individuals, taught Sunday school, offered lectures or seminars on various occasions, offered public prayers in many settings, and continued to travel with his wife and family, as well as flew kites for his own pleasure and the enjoyment of others. He often acknowledged how perfectly his wife Ina complemented his interests and skills. He read many novels aloud to her in the evenings. Other family and friends, including the men’s morning breakfast group at his church, greatly enriched his life. Wallace was preceded in death by his parents, and a brother Allen Gray. Survivors include: his wife Ina Turner Gray, his daughters Tara Gray and Toni Gray (Nelson Chen), grandsons Phillip Chen and Alex Chen (Jess Chen), and sister-in-law Myra Turner Parkhurst (Loren).